The Rock and Roll for Children Foundation today announced the lineup for their annual fundraising event, taking place on Saturday, March 12 at 7:00pm at the Bethesda Blues and Jazz Club, featuring rock and roll legends from across the globe, uniting to benefit The Children’s Inn at NIH. 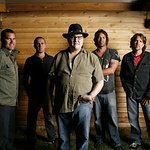 John Popper of the multi award-winning band Blues Traveler will be heading this year’s fundraiser event, joining Ricky Byrd, 2015 Hall of Fame Inductee with Joan Jett and the Blackhearts, award-winning TV composer Snuffy Walden (Chaka Kahn), Saturday Night Live band member “Beehive Queen” Christine Ohlman, singer/songwriter Marc Riber, The Monkees trumpeter Eric Biondo, Lynn Ligamari of the Lincoln Center Institute, Maria Eisen (The Woes), Peter Frampton bassist John Regan, Liberty DeVitto of the Billy Joel Band, Mark Stein of Vanilla Fudge,Chris Pati and several other incredibly talented musicians. Attendees will enjoy an evening of unforgettable and one-of-a-kind live performances, while also having the opportunity to bid on a unique collection of silent auction items including guitars signed by the Rolling Stones, Aerosmith, Black Sabbath, the legendary B.B. King, AC/DC and more; posters signed by Pearl Jam, the cast of Avengers: Age of Ultron, the cast of Star Wars: The Force Awakens, among others; as well as other memorabilia from the likes of Taylor Swift, Jay Z & Justin Timberlake, the Jets football team and Maroon 5, to name a few. Other donated items include vacation packages to destinations around the world. VIP admission is $400, and will include access to sound check where a private luncheon will be held in addition to a meet-and-greet and a photo opportunity, performer autographed memorabilia, and the main event, which will feature a buffet and open bar. General admission tickets are $200 and include the main event with buffet and open bar. Rock’n’Roll attire is recommended. Purchase tickets and/or make online donations, here. Located on the campus of the National Institutes of Health, The Children’s Inn provides kids and their families with a welcoming and lively “Place Like Home” while receiving treatments for significant illnesses. Last year’s fundraising event was attended by over 400 guests who assisted in raising $50,000 for The Children’s Inn by attending the concert and participating in the auction. Each dollar aided the Rock and Roll For Children Foundation’s goal to support The Children’s Inn’s efforts in reducing each family’s burden of illness.